The Bible was written by 40 people in 3 languages, over a period of 1,400 years. The hand of God was on each writer in such a way that the Word of God was written without error or contradiction and yet their individual personalities were not overridden. God did not make them robots, but worked through their different styles, experiences and personalities. God specifically chose not only the person, but the time and place in history that each specific book would be written. The Word of God is truly a miracle Book. The Bible has withstood fierce opposition. At times even the official church did not want the people to have the Scripture and fought against those who would bring the Scriptures to the common man. Incredible! The church! People have been burned at the stake and suffered other deaths simply for possessing and believing this Book. Even today people are in jail in other countries for owning the Word of God. Our own country fights against the Bible by trying to take all references to it out of schools, government agencies, and wherever they can. The war against the True Scripture rages on. The fact that the Bible faces such extreme attacks for all sides is one of the evidences of its truthfulness. How many other so-called "holy books" have endured such extreme and consistent violence? Yet it is only by studying and applying the Word of God that we can come to true freedom in any area of life. When the teachings of Scripture are followed families are healed and churches grow. If we would carry the Word of God into the governmental system, taxation would be under 10%, crime would be so rare as to not pose a serious threat to the average person, inflation would cease to be a problem, and much more. It’s all there in the Word of God. The advantages of understanding and living under a Christian system in every sphere of life are overwhelming and yet the majority insist on living in rebellion. It is like God gives us a round wheel with all its advantages and we insisted on trying to use a square wheel. We blame God because He didn’t design the world to operate well with square wheels. We want God to align everything according to our wisdom, instead of aligning ourselves to His wisdom. Sometimes we are fooled into wanting the world’s approval and recognition in what we do. The world’s ways don’t work - just look around you. When we are walking according to the Word of God things will work. The world should be coming to Christians for solutions, but often we are too busy imitating them [or “sucking up” to them] for them to see any difference. We must be committed to understanding and applying the Word of God in every sphere of influence we have. We are all born looking at the world upside down. Only as we study the Bible can we began to see the world the way it really is. Most people would rather live in an upside down fantasy world than face reality. At Free Bible Study Lessons you have a great opportunity to gain a Biblical world-view and begin to see things through God’s eyes. Unfortunately even many conservative Christian colleges/universities have compromised with the world’s view. You can see this by how they treat Genesis 1-11. Is it history or just “spiritual” truth? If it is not literal history [showing the world is only about 6,000 years old], then all the authority of Scripture is undermined. [If you or one of your children are thinking about going to Christian college or Bible School find out what they require their teachers/professors to teach on Gen. 1-11 - not just what is in their statement of faith.] 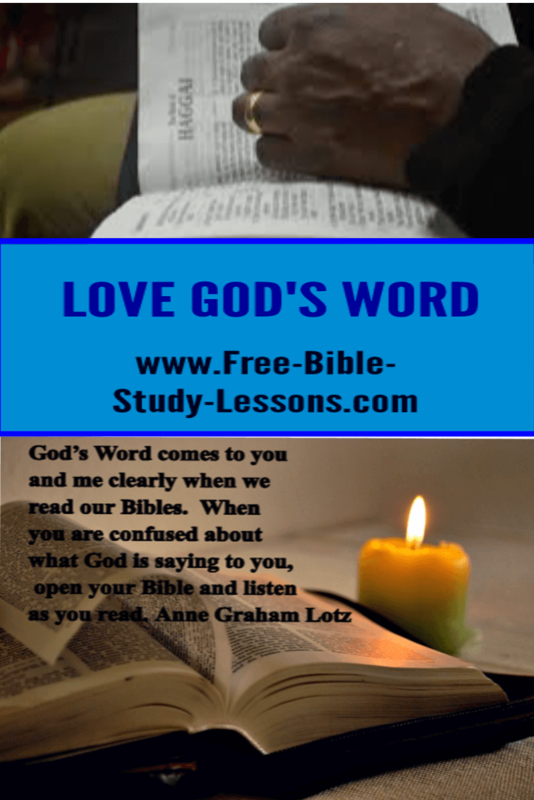 Free Bible Study Lessons also has important and unique courses like Covenants, Book of Revelation, and Biblical Law which are not often taught in detail elsewhere. I congratulate you on taking courses [here and elsewhere] to improve your knowledge and application of Scripture. Never stop. Keep going. Keep that Bible open...and learn to feed yourself. If, once in a while, you feel like you’ve had a brain sprain and need a break then pick up a good Christian biography and have your faith inspired by the lives of great men and women of God. You can read of Hudson Taylor who led over 1,000 missionaries into the interior of China where tens of millions of people lived with no gospel witness. You can follow George Muller as he by faith built orphanages to house needy children. The life of Corrie ten Boom can come before you as she worked to save Jews from the Nazi’s. You can read of the adventures of Brother Andrew as he smuggled Bibles into communist countries. Plus many more heroes of the faith. One of the things that you will discover about all the great men and women of God is they had a love for the Word of God. If they lived busy lives they would often rise while others were sleeping just to have time for study and prayer. 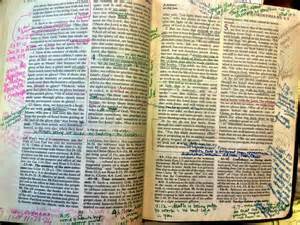 So love the Word of God, not just in theory, but in practical study which leads to knowledge of God and application in our lives.